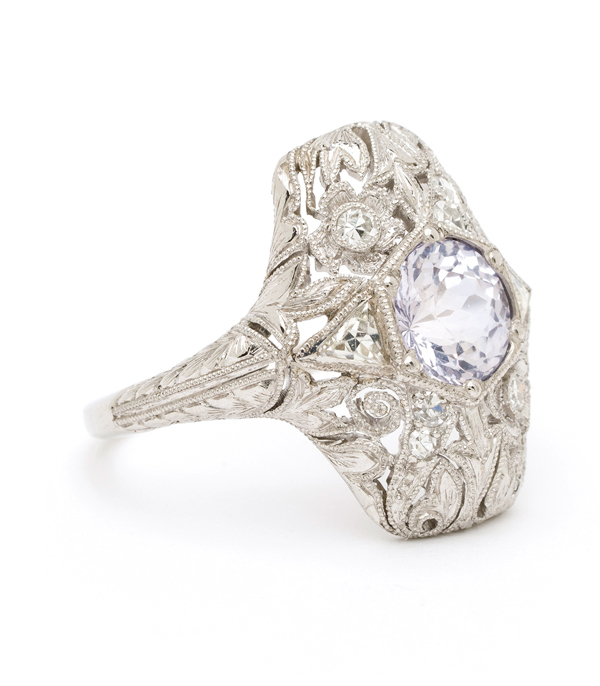 Consummate artistry and sophistication is in full effect in this singular 1920s ring. Crafted in solid platinum, this beautiful piece has been slightly re-worked by Sofia to include an unusual natural grey blue sapphire (1.55ct) as unique as it’s beautifully crafted mounting. Multiple small single cut diamonds twinkle throughout the design, while two unique french cut diamond trillions frame the steely grey center. 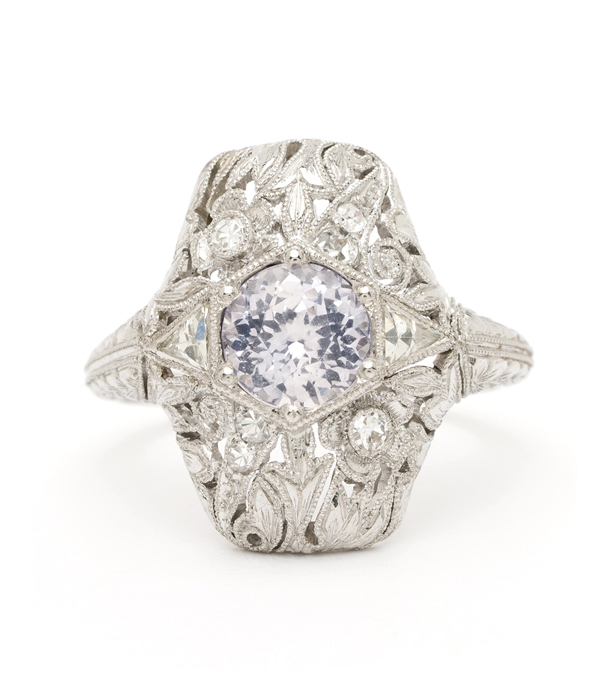 This dynamic Jazz Age jewel closely wraps your finger in low profile yet makes a brilliant impression. We think this piece would make a truly one-of-a-kind engagement ring option for the bride who seeks a ring with a history. 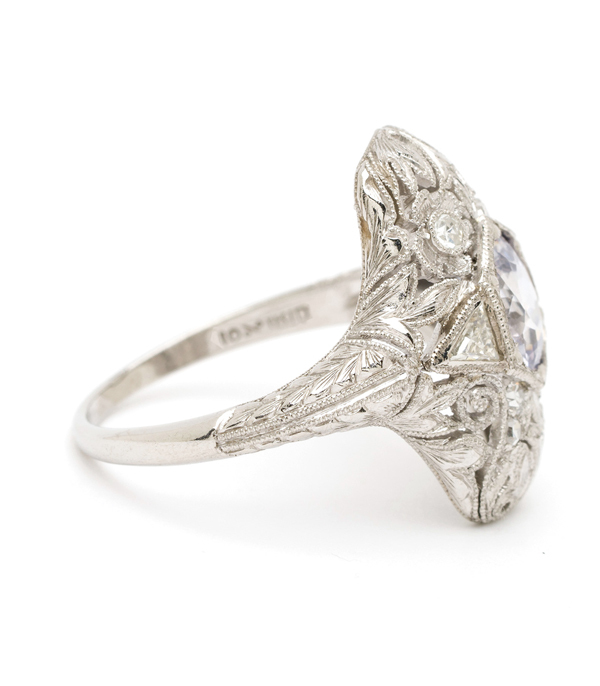 Categories: Edwardian Jewelry, Vintage Engagement Rings, Vintage Rings.